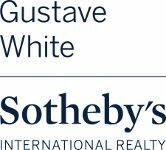 Gustave White Sotheby’s International Realty looks forward to serving you. Please feel free to call our Newport office at 401-849-3000 or email us at gustavewhite@gustavewhite.com. An agency representative will contact you shortly thereafter.